With the 10th anniversary of September 11 fast approaching, Multifaceted Media Group (the parent company of Intelwire) now offers a massive discount on the licensing of Al Qaeda-themed footage. 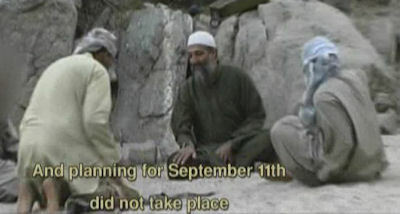 For a limited time, you can purchase a "box" of video featuring Al Qaeda leaders and training, as well as specific footage of the September 11 plotters and hijackers. 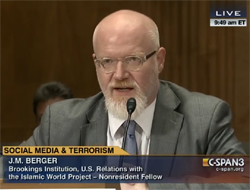 For the cost of licensing footage for an average one-hour documentary, you can now obtain a full library of terrorism-related footage to use over and over again. Pay the license fee once and use the footage forever. A partial screener clip is shown below. Also available now, "Classic Al Qaeda" stock footage box with 15 minutes of Al Qaeda training camp footage as well as Al Qaeda leadership statements including English subtitles.